Compatible with PC, Android and PlayStation 3, Switch system. Connect your Nintendo 64 joypads to your PC USB port. All buttons are supported, perfect for any emulation program but also works with any modern PC game. It allows you to play all PC games designed to be played with joysticks. Really plug and play, it makes your PC a real gaming platform. Please Note: Please use original controllers along with this adapter. Third party controllers may not work properly with this adapter. The USB adapter for SNES or SFC controllers connects your favorite joypad or joystick to your computer, allowing perfect gaming with emulators and even native PC software or games. The adapter has been tested with SNES9x, MAME, GB/GBA and plenty of other programs. Use two or more adapters on one computer for multi-player gaming. Please Note: Please use original controllers along with this adapter. Third party controllers may not work properly with this adapter. Connect your Sega Dreamcast game controller to your PC USB port. All buttons are supported, perfect for any emulation progRAM but also works with any modern PC game. It allows you to play all PC games designed to be played with game controllers. Really plug and play, it makes your PC a real gaming platform. 1 x Mayflash Sega Saturn Controller Adapter For PC USB Sega Saturn Controller Adapter for PC USBJust plug and play, no driver needed.Compatible with Windows 98, ME, 2000, XP, Vista and Windows 7, 35 bit and 64 bitOnly for one player. 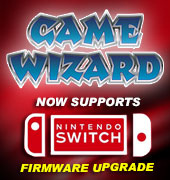 Compatible with NES Classic Edition and Wii U/Wii system. To switch the D-PAD to the Left Stick, press and hold the “START” button and the Directional button “DOWN” for 3 seconds. To remove this setting, press and hold the “START” button and the Directional button “UP” for 3 seconds. Turbo: The function buttons (A, B, X, Y, L, R) can be set for TURBO. To set Turbo for individual buttons, press and hold the button that you wish to set TURBO for, and the button “TURBO” on the adapter. You’ll find that the TURBO LED will flash, and the setting is finished. To remove the setting for that specific button, press and hold the button you previously set Turbo for and the TURBO button. HOME: Press and Hold the “START” and “SELECT” buttons for 3 seconds to function as “HOME” button. Wireless sensor dolphin bar can connect your Wii remote plus controller to your PC by Bluetooth. Support nunchaku controller and Wii classic controller. Support four working modes: Keyboard and mouse mode (LED1), keyboard and mouse game mode (LED2), game controller mode (LED3) and Wii remote controller emulator mode (LED4). Wireless sensor dolphin bar can connect your Wii remote plus controller to your PC by Bluetooth. Easy and simple operation, no need extra Bluetooth dongle. Supports cursor anti-shake function. 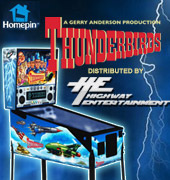 Allows you to play more quickly and precisely with your game controller, light gun or racing wheel. Works as a normal keyboard and mouse. Works as a PC remote controller. You can return or skip to the beginning of the current, previous or next chapter and supports fast reverse, fast forward, pause playing, etc. Works as a game light gun. You can play all kinds of PC shooting games and PC or Wii light gun is well supported. Works as a wireless game controller. Connects your Wii remote controller or Wii remote controller + Wii nunchaku or Wii remote controller + Wii classic controller to your PC. Supports the g-sensor function that is the best choice for the racing games. Supports the vibration feedback. Supports go controller by using may flash go controller adapter for Wii/Wii u(W007) compatible with the Wii emulator dolphin. Supports up to 4 of the Wii remote controllers. Compatible with windows XP, vista and windows 7, windows 8 ¼Â32 bit and 64 bit.